A bankruptcy trustee sued former Gov. Jon Corzine over his role in the collapse of MF Global. Jon Corzine and two lieutenants at MF Global were sued Tuesday over the collapse of the commodity trading firm in 2011. The suit, brought by bankruptcy trustee Louis Freeh, claims the executives took MF Global on a risky course that led to its bankruptcy and to improper use of client's money to cover losses. The defendants "dramatically changed the company's business plan without addressing existing systemic weaknesses that ultimately caused the plan to fail," the suit alleges. 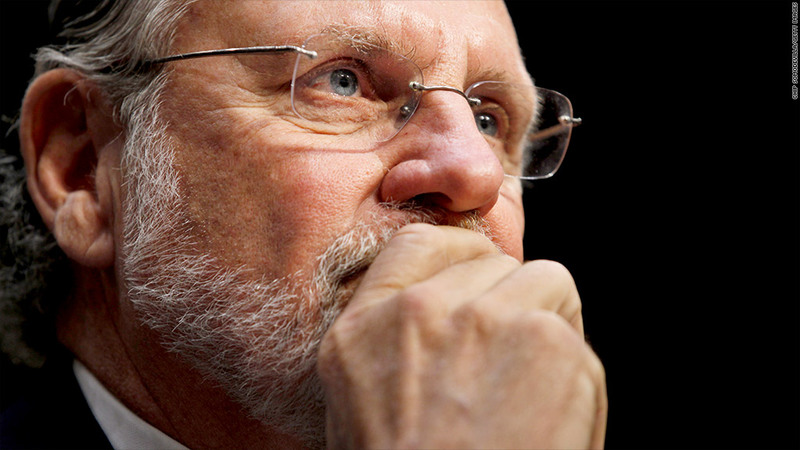 It further claims Corzine engaged in risky trading strategies that strained the company's cash reserves. The suit does not set out a specific dollar amount it is hoping to recover. Also named in the suit were Bradley Abelow, the firm's chief operating officer, and Henri Steenkamp, its chief financial officer. Freeh, a former FBI director, is one of two court-appointed trustees trying to recover money lost by MF Global. The other is James Giddens, who is involved with a case over the brokerage unit of MF Global. Freeh's concern is the holding company. Giddens has already joined a class action lawsuit brought by clients of MF Global who are seeking to recover money they say the firm improperly used for its own trades. Giddens has been more successful recovering money by reaching settlements with some of the major banks, such as JPMorgan Chase (JPM), that handled MF Global's accounts. 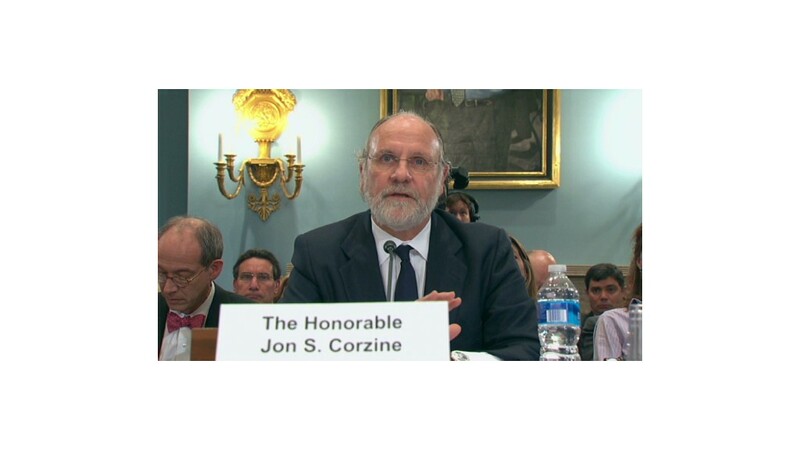 In congressional hearings into the firm's collapse, Corzine, a former CEO of Goldman Sachs (GS) as well as a former U.S. senator and governor of New Jersey, has denied any wrongdoing. He has yet to face any criminal charges or regulatory action in the case, although a congressional committee report in December also blamed him for the firm's collapse. A spokesman for Corzine called the suit "a clear case of Monday Morning quarterbacking" that intentionally ignored the role that MF's trading partner played in the firm's collapse. "Mr. Corzine was recruited to revitalize a troubled company, and during his entire tenure as CEO he worked tirelessly with the board, firm management and world class consultants to improve MF Global's operations and performance," said the spokesman. He said Corzine looked forward to his day in court. Gary Naftalis, attorney for Abelow, denied that his client caused any losses or contributed in any way to the collapse of MF Global. He said Abelow stayed with the firm for a year after its bankruptcy helping to recover clients' money, which Naftalis said Freeh had described as "invaluable." Naftalis said he and Abelow are disappointed that Freeh is now making allegations that they say lack any factual or legal basis. Laywers for Steenkamp were not available for comment.